Taiwanese artiste Vivian Hsu (徐若瑄) and Singaporean businessman Sean Lee (李云峰) held a private luxurious wedding in Bali, Indonesia on June 29. With approximately one hundred guests, it was a mini celebration with close friends and relatives on the warm tropical island. Vivian and Sean’s wedding celebration consisted of two parts, with the first part held in Singapore. 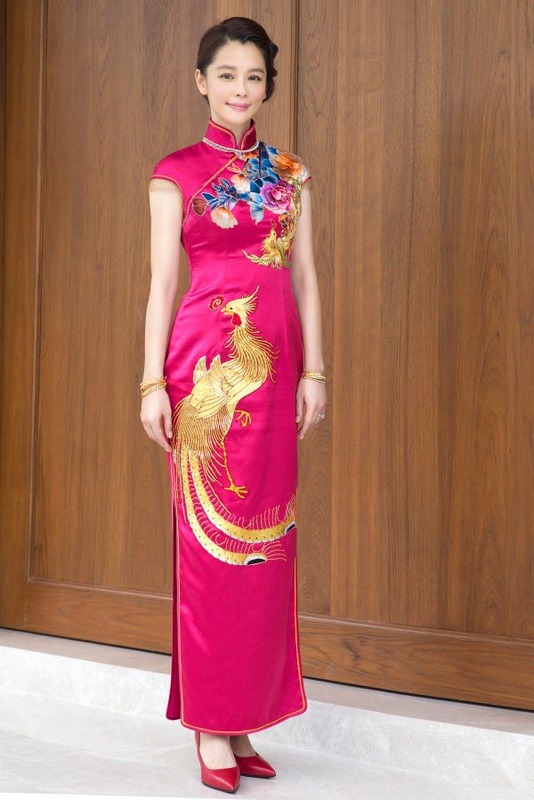 On June 26, the couple conducted a traditional Chinese celebration that included a tea-serving ceremony to the elders. 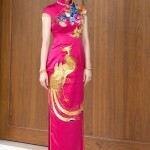 Vivian wore a bright red Cheongsam with a hand-sewn phoenix designed by one of China’s famous tailors. Following the traditional customs, Vivian and Sean headed to Bali for their Western-styled celebration. Both sides of their families arrived early to prepare for the grand day. A relaxing mini party was held on June 28, the night before the actual wedding. Taking place beside a hotel’s swimming pool, Vivian wore an elegant purple print dress to match the soft romantic atmosphere. She paired it with some diamond and pearl accessories by New York designer, Thakoon Panichul. On the day of their Bali wedding, Vivian switched between two custom-designed Vera Wang gowns. The classic white one featured exquisite lace and silk embroidery that was paired with a set of diamond necklace and bracelet given by her grandmother. While in the red gown, Vivian playfully put on a Mickey Mouse hat to display a cute image. The couple took several wedding photographs to showcase their romance on camera. The highlight of Vivian’s wedding outfits was her pair of uniquely designed high heels. It took two months to make and also included Vivian’s English initials. Underneath the heels’ padding, a tiny blue rhinestone is embedded to bless the bride with marital happiness. Vivian is the first in Taiwan to introduce these special wedding heels. 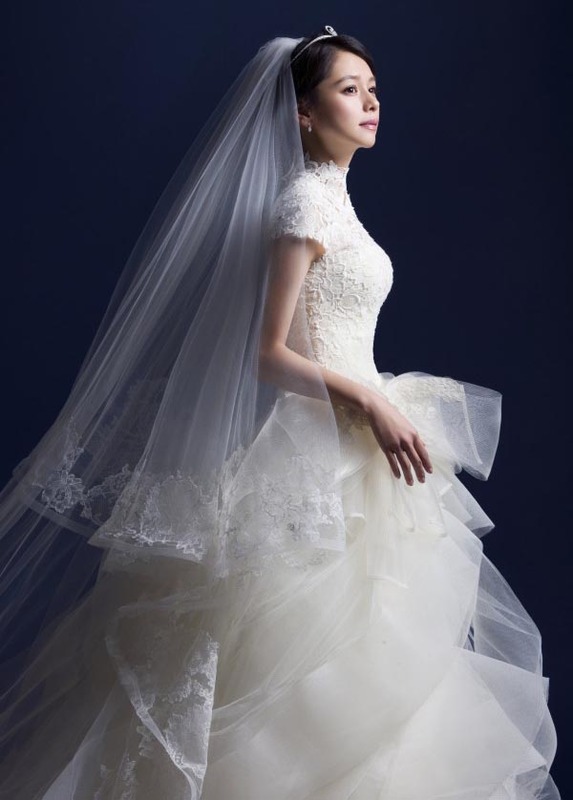 Actress Ruby Lin (林心如) was one of the few artistes who attended the Bali wedding. Since Vivian and Sean will later hold another homecoming wedding for Vivian in Taiwan on July 23, the majority of her friends from the entertainment industry will attend on that day instead. Congrats to her! Finally she’s found happiness. May the marriage be an everlasting one. I thought she already held her wedding? I guess this is another part of it. Anyways,congrats to her and her groom. Love her dresses since they all look so beautiful. I read somwhere on the internet she was Stephen Fung’s ex girlfriend? They don’t look like a good couple together – but she seems to fit well with this new dude she’s marrying now. Who is this woman? Is she an actress or a singer? She looks familiar, though. Vivi is very pretty. Sean is kinda good looking, but I don’t like his sticky hair. Congrats tho! She’s so pretty. I love those aboriginal Han faces like hers and Jolin. Li Bingbing is like that too. Usually I like quirky and quixotic faces but the Taiwanese hybrids are so soft and delicate looking.